Have you ever wondered if the Father loves you, truly loves you? Accepting the love of someone isn't always easy. Especially when that Someone is a being we have never physically seen. I think there are sometimes two sides. Those who didn't have a loving father growing up and they wonder if the Heavenly Father could actually love them. Then there are those who had a loving father and know and accept our Father's love. Whichever side you fall to, or if neither really explains you, the truth is the Father does in fact love you. He loves you deeply, perfectly, undoubtedly, genuinely, fiercely. He. Loves. YOU. The precious Jennifer Rothschild has a new book 66 Ways God Loves You. Jennifer goes through each book of the Bible pointing out the ways God loves us. 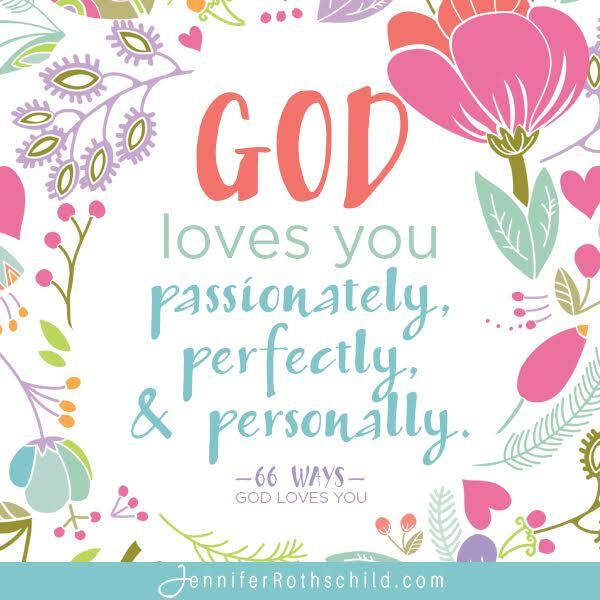 Jennifer reminds us of the ways God loves us. She opens our eyes to ways we didn't even realize. It's amazing to see how beautifully we are loved by the very One who created us. 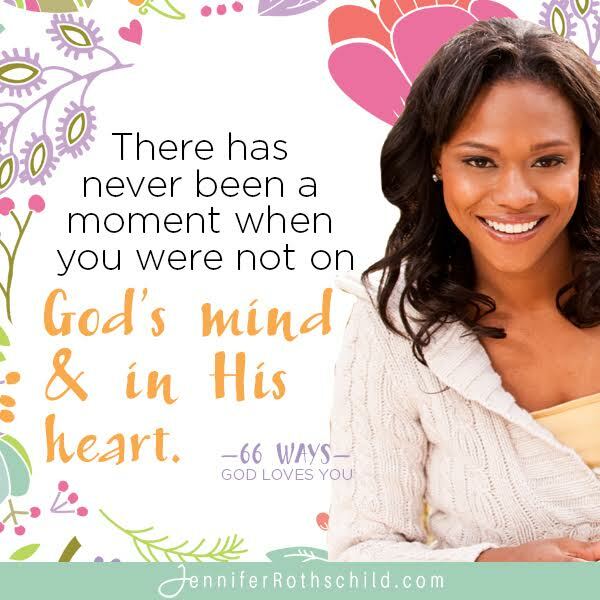 Jennifer says, "There has never been a moment when you were not on God's mind and in His heart." I am so thankful for that beautiful truth. 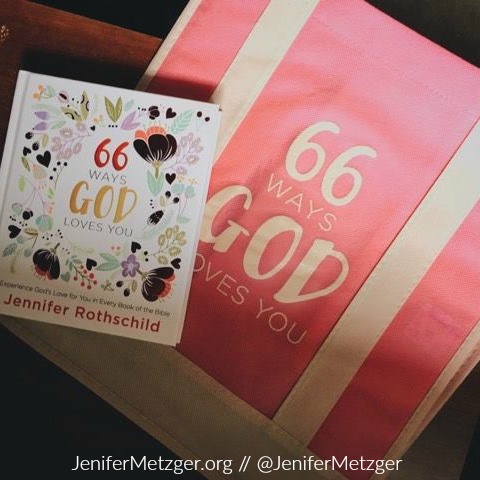 To enter to win 66 Ways God Loves You and this cute canvas bag, complete each task in the rafflecopter below. I'm really loving 2 Timothy 1:12 right now. But I am not ashamed of it, for I know the one in whom I trust, and I am sure that he is able to guard what I have entrusted to him[a] until the day of his return.